Why did Poe leave his jacket? There's a lot that lacks explanation here, but what I'm wondering about is, Why was Poe's jacket left behind? If he was in a rush to exit the TIE, he would have kept it on. If he was not in a rush, he would have kept it if it is was useful. If it was only useful to Finn to disguise his empire uniform and had no use to Poe, then he would have dropped it after he cleared the danger zone. And this is merely complicated by the fact that when they meet later, Poe seems to demonstrate at least some attachment to the jacket. Is there any more detailed accounting of what passed during these unseen minutes? To answer the question "Why did Poe leave his jacket? ", I always assumed he didn't leave it purposely, he tells Finn he was thrown from the crash and when he woke up later, the ship and Finn were gone. This indicated to me that he wasn't wearing the jacket when the ship crashed and was knocked unconscious after being thrown from the TIE fighter on impact. From the direct screenplay transcript of Scene 27, "That's My Jacket", from the film Star Wars: The Force Awakens. Poe Dameron I got thrown from the crash. I woke up at night. No you. No ship. Nothing. BB-8 says that you saved him. Finn (FN-2187) No, no, no. It wasn't just me. Poe Dameron You completed my mission, Finn... That's my jacket. To answer the 2nd part of your question "Is there any more detailed accounting of what passed during these unseen minutes?" I would defer to the answer that Valorum posted which referenced the Official Novelisation. 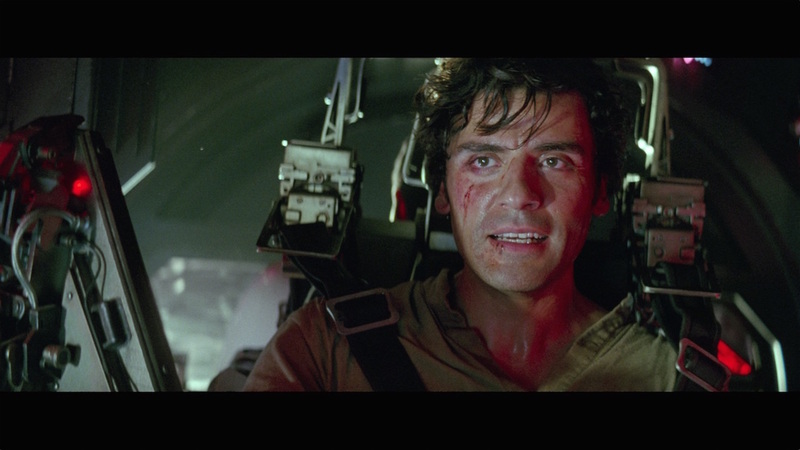 According to the film's Official Novelisation, Poe evidently took his jacket off after the crash landing to help him escape the ship. It snagged on something and he was in a hurry to leave, fearful that the crash may cause the TIE to explode. His name. That was his name. Poe Dameron, and he was a pilot in the Resistance. But if he was a Resistance pilot, where was his flight jacket? Probably still pinned in the TIE fighter he had only just managed to set down in one piece. He remembered the crash now. Remembered recovering consciousness just in time to set down more or less intact, trying to get out of the cockpit before something blew, his jacket caught and holding him back, struggling out of it and then tumbling clear onto the sand — all of it recalled through the haze of his concussion. Since Finn had left the scene (with the jacket) before Poe regained consciousness, and with the ship having mysteriously vanished, he simply never had the opportunity to go back for it, nor would he have even know that it was missing from the wreckage. he said he woke up at night. "No you, no ship no nothing." so this suggests he was thrown from the crash, and Finn left before he woke up. Because it was hot in there. Jakku was a desert planet. He just survived a crash. His elevated heartrate should make it even worse (more blood flow = more heat generation). First order ships were chasing him. Not the answer you're looking for? Browse other questions tagged star-wars the-force-awakens plot-device or ask your own question. Where did Poe get another black X-Wing? Why did Luke leave his lightsaber? Why did Luke leave a map?